"Richard consistently produces exceptional work product and his ability to juggle huge cases is unparalleled." "A fast rising star with an absolutely brilliant legal mind." Richard Eschwege is a leading junior in heavyweight litigation and arbitration, and has been involved in some of the most high profile and significant cases of recent years. He has a broad, predominantly commercial, practice, and has advised on and acted in a spectrum of disputes, including energy and natural resources, banking and financial services, civil fraud, insurance, professional negligence, telecommunications, conflicts of interest, conflicts of laws, and jurisdiction battles. He has appeared in the national courts at all levels and before many international arbitral tribunals. Richard is ranked in the legal directories as a leading junior in Commercial Dispute Resolution, Energy and Natural Resources, and Banking and Finance. He was identified as one of Legal Week’s ‘Stars at the Bar’ 2014, and nominated for Legal 500’s Energy Junior of the Year 2018. Richard has a particularly strong practice in energy and natural resources, banking and finance, and commercial fraud matters. He has acted in a large number of oil and gas, mining or infrastructure disputes in the North Sea, Eastern Europe, the Middle East, Central Asia, Central and South America, and Africa, and has appeared in some of the major energy and natural resources cases, including Excalibur Ventures. Richard has worked on a variety of banking litigation matters, often involving complex financial products. He has acted for lenders, borrowers, and hedge funds in a wide range of financial disputes, including enforcement and restructuring of facility agreements, payments under bank guarantees, disputes involving bond issues and clearing systems, manipulation of LIBOR, swaps mis-selling cases, payments under letters of credit, and enforcement of security rights. Richard also has extensive experience of commercial fraud matters, frequently in the context of multi-jurisdictional disputes. He currently acts for the principal defendants to claims in respect of an alleged fraud worth c. US$300 million. United Co Rusal Plc v. Crispian Investments Ltd  EWHC 2415 (Comm. ): shareholder dispute relating to sale of shares in major nickel company and exercise of a right of first refusal. Blue Power Group SARL v. Eni Norge SA  EWHC 2212 (Ch. ): energy dispute relating to compressed natural gas technology in the North Sea, and alleged breaches of exclusive service agreement and alleged breach of confidence. Bank St Petersburg v. Arkhangelsky  EWHC 1077 (Ch. ): dispute concerning the enforcement of bank guarantees and alleged fraudulent 'raiding' of companies' assets. UMS Holdings v. Great Station  EWHC 3330 (Comm. );  EWHC 2473;  EWHC 2398 (Comm. ): enforcement of US$306 million LCIA arbitration award and challenge to the award under section 68 of the Arbitration Act 1996; post-judgment freezing orders; confidentiality of arbitration awards. 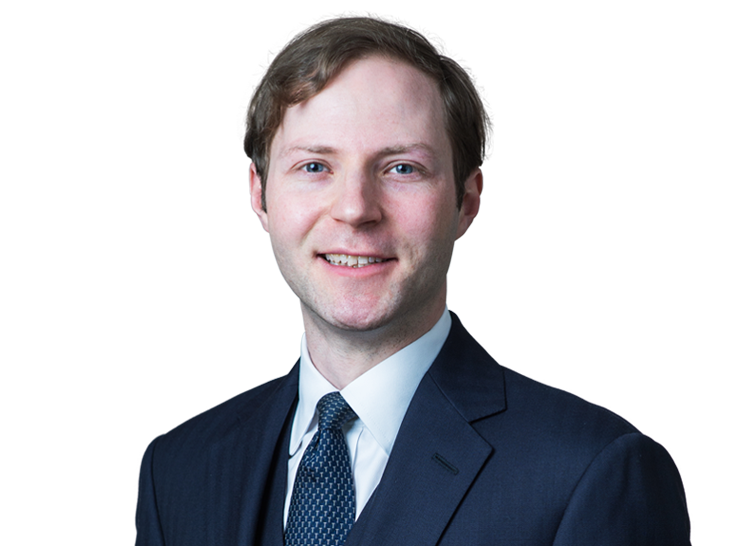 Arcadia Petroleum Ltd v. Bosworth & Ors (Supreme Court, April 2017, following which Supreme Court made a preliminary reference to CJEU);  EWCA Civ. 818;  EWHC 2527 (Comm. );  EWHC 3700 (Comm.) EWHC 1030 (Comm. ): US$300 million alleged fraud relating to oil trading in West Africa; jurisdiction challenge concerning matters relating to employment contracts; enforcement of freezing orders outside the jurisdiction. Petrosaudi Oil Services v. Novo Banco SA  EWCA Civ. 9: circumstances in which the ‘fraud exception’ to a bank’s obligation to make payment under a letter of credit applies. Excalibur Ventures LLC v. Texas Keystone & Ors  EWCA Civ. 1144;  EWHC 566 (Comm. );  EWHC 3436 (Comm. );  EWHC 2767 (Comm.) and  EWHC 4278 (Comm. ): claim for US$1.6 billion in a dispute involving oil production sharing contracts in Kurdistan; litigation funding and non-party costs orders. Scottish Power UK v. BP Exploration Operating Company Ltd  EWCA Civ. 1043;  EWHC 3569 (Comm. );  EWHC 2658 (Comm. ): interpretation of long-term gas sales contracts for the sale of gas from the North Sea, including exclusion clauses. Bonhams v. Lawson & Ors  EWHC 3527 (Comm. ): dispute over the auction and ownership of very rare £11 million Ferrari car, one of the world’s most expensive classic cars. Peak Hotels v. Tarek Investments  EWHC 1997 (Ch. ): breakdown of a joint venture in a luxury hotel business. CF Partners v. Barclays Bank & Ors  EWHC 3049 (Ch. ): banking dispute involving hedge fund and breach of confidence in relation to valuable M&A opportunity. Georgian American Alloys v. White & Case LLP  EWHC 94 (Comm. ): injunction to restrain solicitors from acting against former client in ‘oligarch’ litigation. Berezovsky v. Abramovich  EWHC 2463 (Comm. );  EWHC 1777 (Comm. ): ‘oligarch’ dispute. Excalibur Ventures LLC v. Texas Keystone & Ors  EWHC 1624 (Comm. ): award of an anti-arbitration injunction. Katsouris Brothers Limited v. Haitoglou Bros. S.A.  EWHC 111 (QB): jurisdiction challenge. Islamic Republic of Iran Shipping Lines v. Steamship Mutual Underwriting Association (Bermuda) Limited  1 Lloyd's Rep. 195: case involving sanctions and the frustration of mutual indemnity insurance contracts. Ministry of Defence v. A Contractor: dispute involving the procurement of defence contracts. Dana Petroleum v. Woodside (Commercial Court): offshore oil exploration in East Africa. Naftrans v. Jan Bonde Nielsen and Ors (Commercial Court): oil terminals and civil fraud. National Grid v. ABB & Ors (2014, Chancery Division): Cartel follow-on damages. Telefonica O2 UK Ltd v .British Telecommunications  EWCA Civ. 1002: Telecommunications and competition. British Telecommunications v. Ofcom  CAT 24: Telecommunications and competition. British Telecommunications v. Ofcom  EWCA Civ. 245: Telecommunications and competition. Jones and Mitchell v. United Kingdom (2014) 59 E.H.R.R. 1: State immunity. R. (BAT and Ors) v. Secretary of State for Health (2010) (Administrative Court): Tobacco display and judicial review.